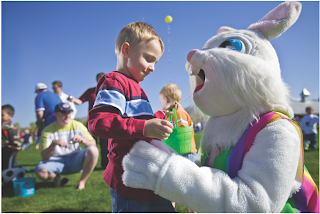 Utah's largest Easter Egg Hunt is at Thanksgiving Point on April 7th 10am - 3pm! Admission includes unlimited participation in activities and one easter egg hunt! LEHI, Utah (March 16, 2011) – Thanksgiving Point will host its 14th annual Easter Eggstreme Saturday, April 7, in the Electric Park from 10 a.m.-3 p.m. The event includes Utah’s largest egg hunts for children up to 12 years old and a variety of Easter-centered activities for families. I have 4 Easter Eggstreme tickets (adult or child) to giveaway to one winner! Giveaway will end Saturday, March 31st at 10am MST. Winner will be chosen by Random.org. I received tickets as compensation for my time. All opinions are my own. Giveaway sponsored by Thanksgiving Point. Email addresses will be deleted after giveaway. Your privacy is important. Utah residents only. Winner will have 24 hours to get me their mailing info before I pick another winner.